What an evocative and tangled story! I absolutely love British thrillers and especially a story set in and around an old house. 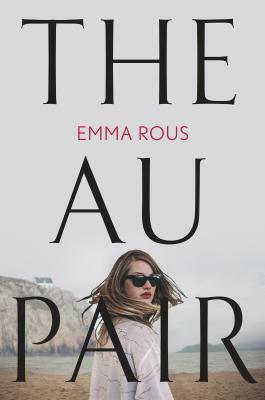 ‘The Au Pair’ features both Summerbourne, the family’s remote country home, and Winterbourne, the city home. Both houses, but especially Summerbourne, play key roles in this wonderfully atmospheric story. The story is told in the first person in dual timelines. Seraphine is the twin sister of Danny and younger sister of Edwin. Laura is the nanny who cared for Edwin when he was a young child. Seraphine discovers an old family photo when she is cleaning the house after her father’s sudden death. She finds a photo that was supposedly taken on the day she was born – yet there is only one baby in the photo! Is the baby her, or Danny? And what drove their young mother to kill herself on the day of the twins’ birth? This is quite a premise and one that is wonderfully unraveled over the course of this intelligent and moody mystery. Seraphine is determined to track down Laura, the nanny, and find out what happened on the day of her birth. She immediately stirs up old emotions and her family begs her to stop digging. Seraphine begins to question everything and everyone she ever thought she knew and loved. What really happened that day? Each alternating chapter leads the reader closer and closer to the truth. It is hard to tell a great story in the first person but the author does so skillfully and with rising tension. As Seraphine grows closer to discovering the truth about her family, Laura is also telling the story of the young family and the circumstances leading up to the day of the twins’ birth. I alternated between reading this book and listening to the audio and I adored the dual narration. I love when an entire mystery revolves around one seemingly small inconsistency and that is the heart of this book. Seraphine, who had been taunted as a child for being a ‘Summerbourne Sprite’, becomes increasingly paranoid as she gets closer to the truth about her family. I was completely taken aback but the ending but fell in love with all of the characters and the gorgeous English settings. ‘The Au Pair’ is a creative book, perfectly paced and beautifully narrated. If this is the author’s first novel, I cannot wait for the next. I highly recommend this one! 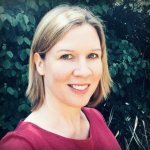 Emma Rous is a Cambridge University graduate who spent eighteen years working as a veterinary surgeon. She is now writing full time, and lives in Cambridgeshire with her husband and three school-age sons.